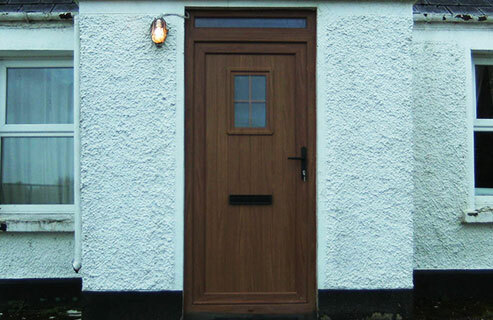 ​"Our doors speak for themselves"
- To provide access to your home. - As the front door is the primary point of access in most cases it is also the focal point of the exterior of the home and must be pleasing to the eye. 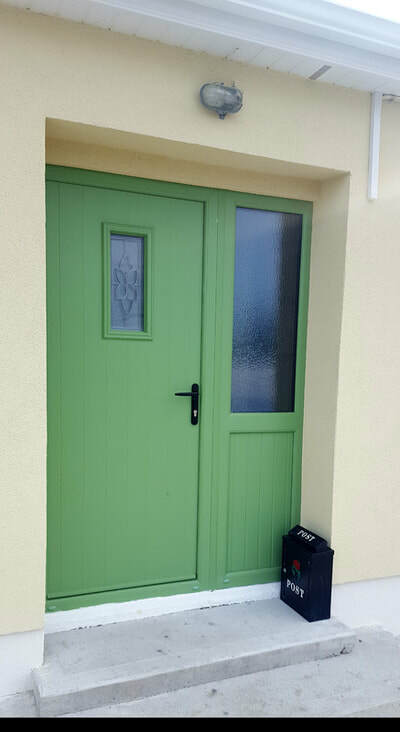 - A secure door can provide real peace of mind, with hook locks, 9 point locking system and reinforced panels. 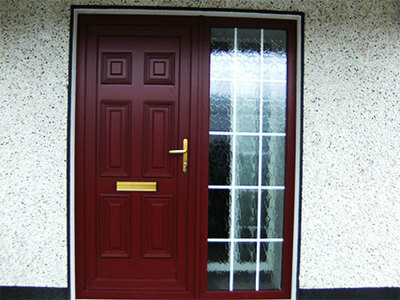 Roscommon Windows supply and fit a range of composite doors. Doors come in a range of colour finishes as well as beautiful wood grain appearance. The security hook locking system is the preferred choice for the more disconcerting customers. 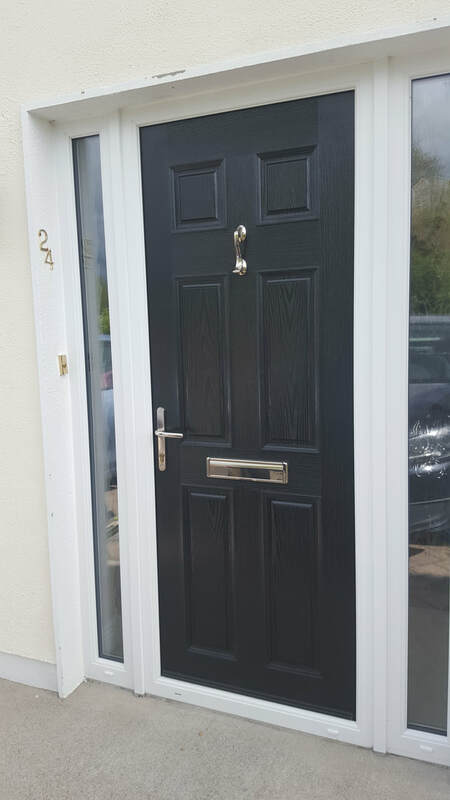 The wonderful benefit of a composite door is that it is so much more secure than a standard PVC door and better insulated. Roscommon Windows supply and fit a huge range of doors, that are handsome and secure, with minimum maintenance. 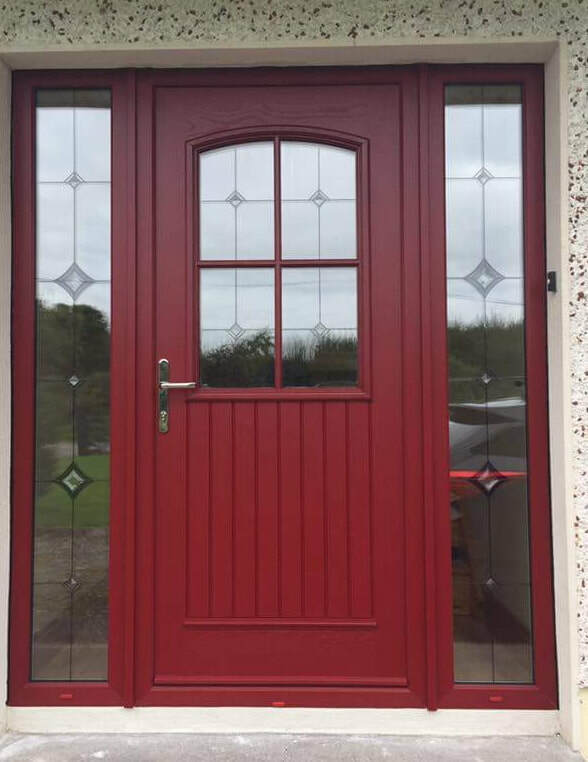 We have both modern or traditional styles available at prices that won't be beaten. 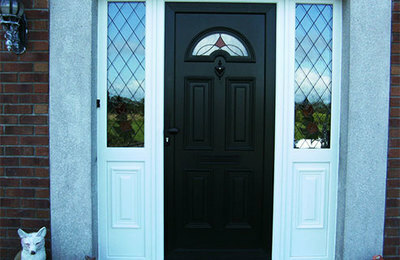 All the glazing options, panels side or top lights, Make great first impressions. 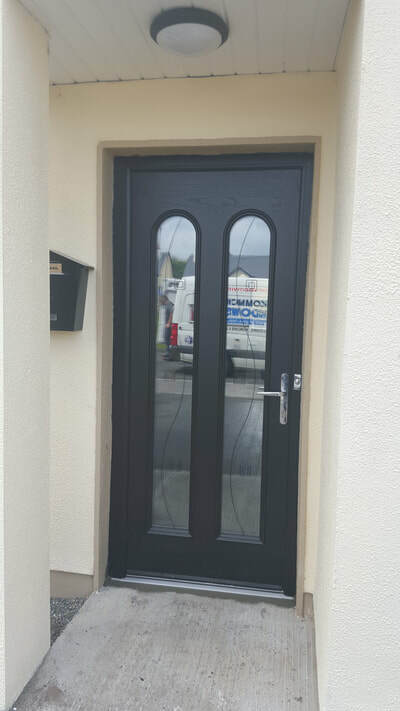 Our doors feature tough internal steel reinforcement with optional features like 'multipoint hook locking', security glazing and welded corner rocks for increased strength, so your 'castle' will not only be beautiful but secure too. 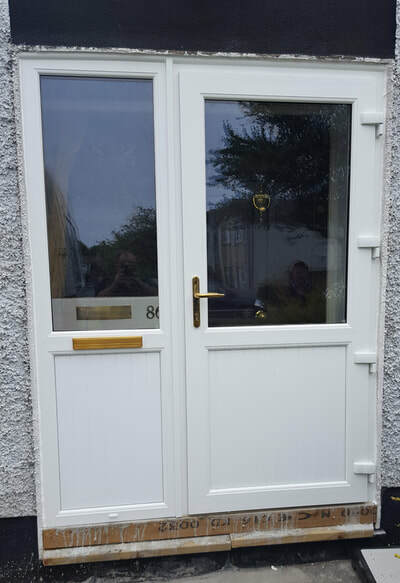 Front doors, rear doors, patio doors and French doors, all offer the same high standards of security and quality construction with the easy 'wipe clean' convenience of UPVC. Doors are available with a lowered threshold allowing greater access for physically impaired individuals. 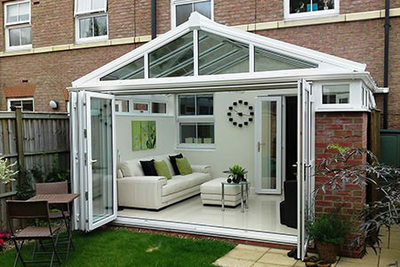 A conservatory can make the most of your available space, a place where house and garden combine to create a very special ambience through all 4 seasons of the year. It can create a new living space and enhance the value of your property. It allows you additional space to entertain your friends and relax with your family. Adding a UPVC porch to your home provides a secure protective barrier on your property and is energy efficient.